No doubt you have heard about the time a little boy named Jimmie came down to see his mother who was making breakfast. “Mom,” he said, “Yesterday in Sunday School, the teacher told us that God made Adam out of dust. And then she said that really all of us are made from dust and that we will one day go back to being dust; is that true?” Jimmy’s Mom said, yes, that is true. Jimmy’s eyes got really big and he said, “Oh Mom, you have to come quick, upstairs, under my bed, someone is either coming or going.Coming or going, you know, that is our situation isn’t it? On the one hand, if our treasurers are here on earth our attitude is more of the going attitude. We are leaving behind all that we wish to stay with. However, if we have the coming attitude we are looking forward to heaven; we want to come home to heaven. This is what Jesus is talking about in the gospel lesson when he says for us to store up treasures in heaven not on earth because our treasures on earth cannot last but the treasures in heaven will last. So what are you doing? Are you coming or going? The difficulty is of course that we are both; we are coming and going. We do love life here. We love our family and friends. We love life around us. We see it and we understand it. And although we like the idea of heaven; we love the idea of bodies that do not age or wear out and all of our bodily parts working well; we love the idea of seeing those who have gone before us; we love the idea of actually seeing Jesus with our own eyes—the fact is, it is hard to actually visualize and understand and truly believe in heaven. It is difficult. We cannot see heaven. We do not understand eternity. We have a hard time picturing what life will be like there. We have a hard picturing what we will be doing there. And therefore while we want to want to lay up our treasures in heaven, it is just flat difficult. And here we are today. On the one hand, we want to believe and on the other hand it is hard to believe and to put our faith in something that we have only heard about; something that we have only a sketchy idea about. How do we obey Jesus to store up treasures in heaven? And I suppose that is the way for us as well. We cannot see what is coming on the other side of death. We do not have the experience to even understand what is on the other side. But Jesus, the only one who came back from the dead, told us to believe and that he would bring us to that new life. He will catch us. And as Christians that is our faith—that is what we believe. Our faith is centered upon Jesus as the one who does and will save us. It may not be easy. We may not understand about it all—yet, yet we believe in Jesus. Ash Wednesday reminds us that we, like the little boy are on a burning house. We need to leave and at some point we are going to leave ready or not. Our bodies are not going to last. And therefore we need to be planning for our new life. We need to be making sure that we are putting away treasures in heaven. And how do we do that sort of thing? Heaven is not exactly like an IRA so how do we put treasures into heaven? The answer is that we serve God. We do those things that Jesus told to us to do. In practical terms, we need to give our time and our money. We try to care for those who are in need. We give to help those less fortunate. God has given each of us gifts and abilities and wants us to use these to serve him and those around us. 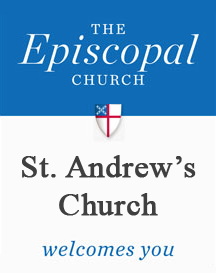 So here at St. Andrew’s we can serve God by helping at the thrift shop, or food pantry or bread ministry, or pastoral ministry, or Heartline, picking up people to take them to the doctors or grocery store or church; these are all things that we can do that are giving to God by serving others that help us to store up our treasures in heaven. Learning to give 10 percent of what God has given us back to God is also a good way to learn to put treasure in heaven not here on earth. Serving on altar guild or as an usher or greeter or as a LEM or reader or in the choir are also ways to serve God and God’s people. You see this is why we have Ash Wednesday and why we have Lent. It is during this time we re-evaluate what is really important in our lives; we are to re-evaluate what we are doing with our lives, with our time and with our money. Are we investing in our heavenly home or are we still investing in our earthly home? We are dust, are we coming or going? Where are you and I storing up our treasures?